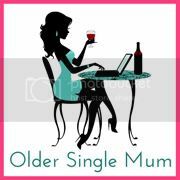 Older Single Mum: Win Tickets to Mumsnet Blogfest. 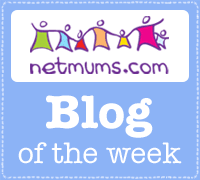 Win Tickets to Mumsnet Blogfest. I'm not going to Mumsnet Blogfest this year, but am delighted to be able to offer my lovely readers the chance to win a pair of tickets so you can! This giveaway is courtesy of Coca Cola and comes with an invitation to go along to their stand at the event to sample the new Coca-Cola Life. It's their first lower-calorie cola sweetened from natural sources, made with a blend of sugar and stevia leaf extract, and contains a third less sugar and a third fewer calories than Coca‑Cola. Also, their Director of Science, Fiona Angus, will be on hand to discuss Coca Cola's latest news including their commitment to provide choice, investment in innovation and encouraging active lifestyles, plus there's a chance to win some special prizes too. But first, you have to get there! Please enter the Rafflecopter competition below. It's only on for a couple of days, seeing as the conference is this Saturday, 8th November, so you'd better get your skates on if you fancy a go. The tickets will be emailed to the winner. I am definitely a big convert to Coca Cola Life - love it. Love the fact that mainstream is getting into Stevia. Also love the wooden carrier they sent me my samples in. Looks gorgeous in my kitchen. I go to Mumsnet Blogfest every year - this will be my 3rd in a row - and haven't bought a ticket yet so winning this competition would make my day. Sad to hear you won't be attending those as me and you normally put the world to rights when there and have a bit of craic. Coca Cola original is my favourite! Nice response, I'm gutted I can't make it as I've always wanted to go ... next year!